Eco Insulation is proud to provide a variety of Billings insulation services to enhance the energy-saving potential of homes and businesses alike. Our services will not only save you a great deal of energy in the long-term, but also enhance your personal comfort level and the health of your home environment year-round. 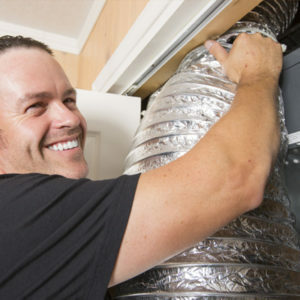 Most people end up losing money due to poor quality insulation and faulty or damaged air ducts and ventilation systems. If they saw the amount of extra money they were paying every year, they’d go through the roof! Fortunately for you, that’s our job. Our Billings insulation services guarantee the maximum degree of insulation for your home. Energy Audits: We will assess exactly what needs to be done in order to bring your home to its maximum energy saving potential. We are BPI Certified, meaning we have the training necessary to complete comprehensive whole-home assessments. We will identify exactly how and where your home is losing energy so that the problem can be adequately resolved. Not only that, but we can also conduct audits to make sure we’ve reached the intended results. Air Sealing: We will caulk and weather-strip your home so that its full insulation potential can be reached. Our Billings insulation services will ensure greater energy-savings, more personal comfort, and a healthier in-home environment. Attic Ventilation: By installing baffles in your attic, we will ensure that proper insulation can take place. Baffles help prevent your insulation from blocking air flow, as well as protect it from accumulating moisture that results in rot. Duct Sealing: Every year, most houses end up losing about 20 to 30 percent of air through their duct system, according to the EPA. The warm and cold air that circulates this system escapes from various leaks, holes, and cracks. This means your home isn’t as warm as it could be during the winter, nor as cold as it could be during the summer. This loss of air adds up in increased energy bills. The comfort of your home is also reduced due to a decrease in air pressure. Our Billings insulation services will seal off all areas in your air ducts where air can escape, including registers, returns, joints, folded edges, and supply lines. 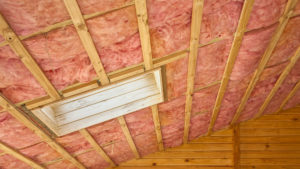 Fiberglass Insulation: Many people think insulation is all about keeping houses warm during the winter. While this is certainly true, the right insulation will also keep houses cool during the summer. Our fiberglass insulation will maximize your home’s energy efficiency year-round. It also reduces greenhouse emissions, and stops condensation from accumulating on the walls or ceiling. Of course, personal comfort levels will also be enhanced! Our Billings insulation services include a Customer Satisfaction Guarantee, as well as a Lifetime Guarantee Against Insulation Settling. If our work isn’t satisfactory in the long or short term, we will correct it at no extra cost! Don’t let sub par insulation services or products rack up your energy costs. With Eco Insulation, you can maximize your home’s energy-saving potential and reduce your utility costs year-round.